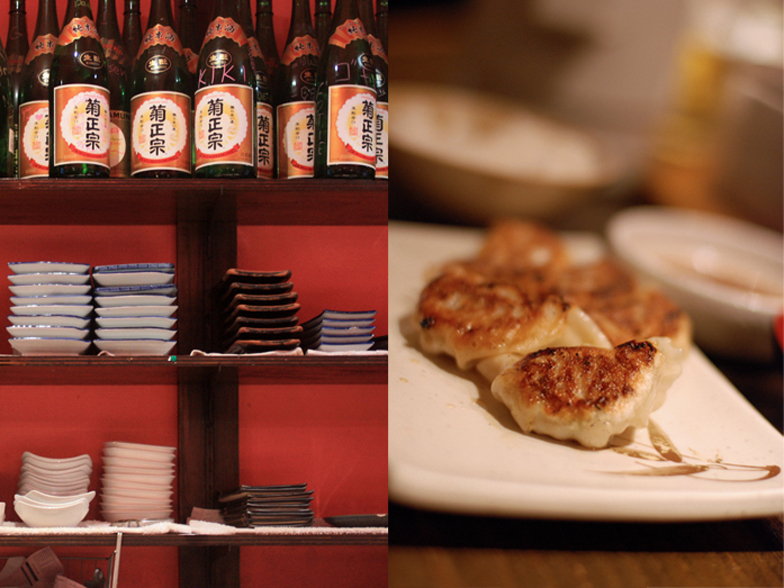 Izakaya is a bit of Japan in Brussels. Most of the staff here is originated from Japan, and will greet you with loud Konichiwas as soon as you step in, and with Arigato Gozaimasu when you leave. For a few seconds there, you’d almost forget you are on chaussée de Vleurgat and not in the heart of Tokyo. 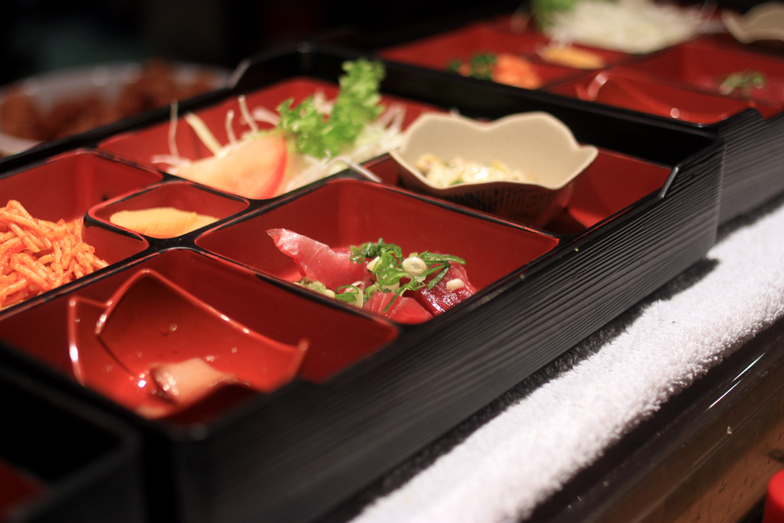 Like in most traditional Japanese izakayas, they prepare a wide variety of otsumami, small plates to share much like the tapas we know. 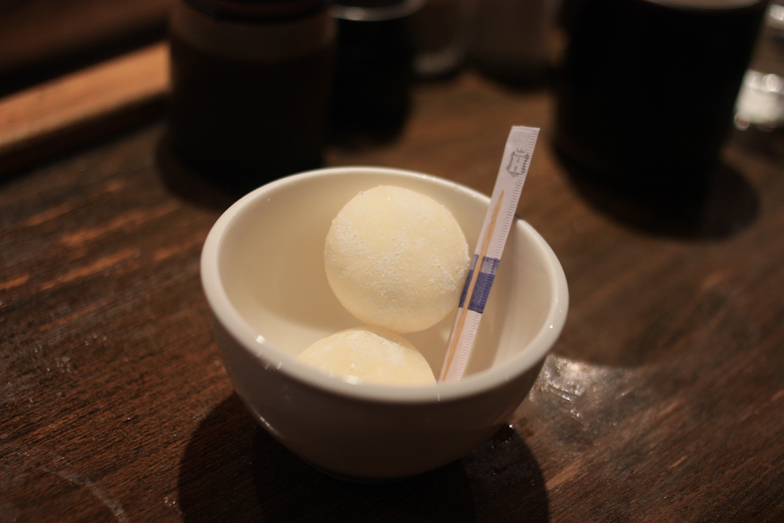 At lunch, they also offer ramen and bentos, in a very affordable menu ranging from 10 to 13€. 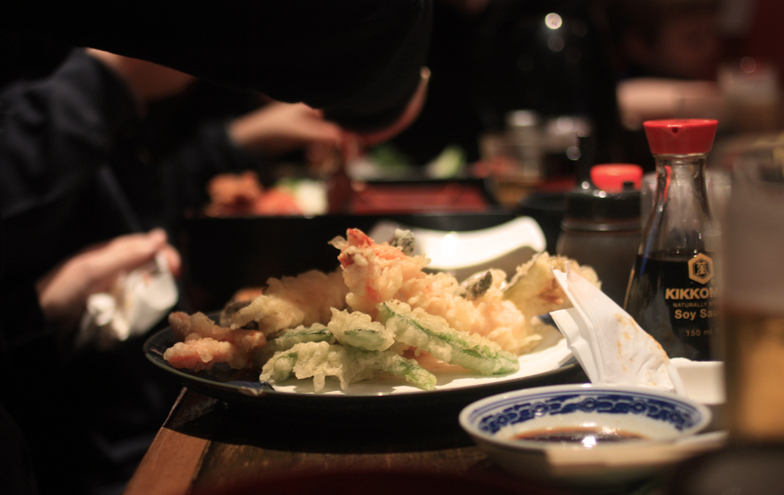 But if you come here at night, which we strongly advise you do, let yourself go and order a bit of everything. We promise you won’t regret it. 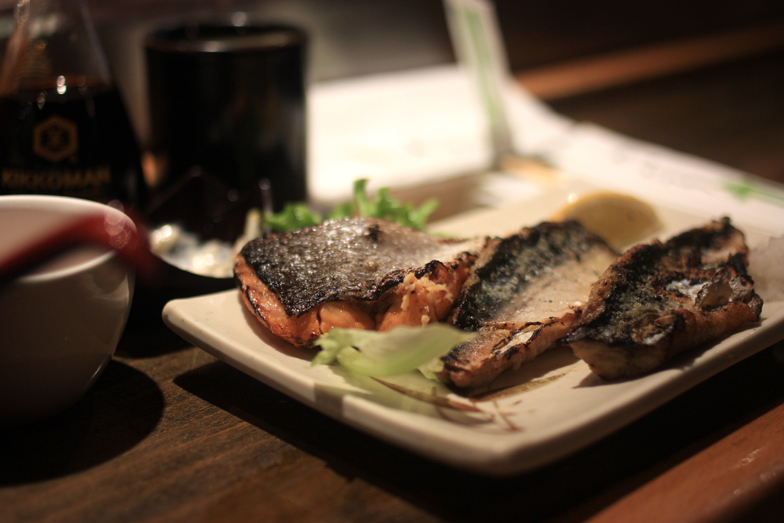 In the suggestions, we recommend the sea bream sashimi, which just melts in the mouth, and the roasted eggplant with miso, definitely our two favorites. 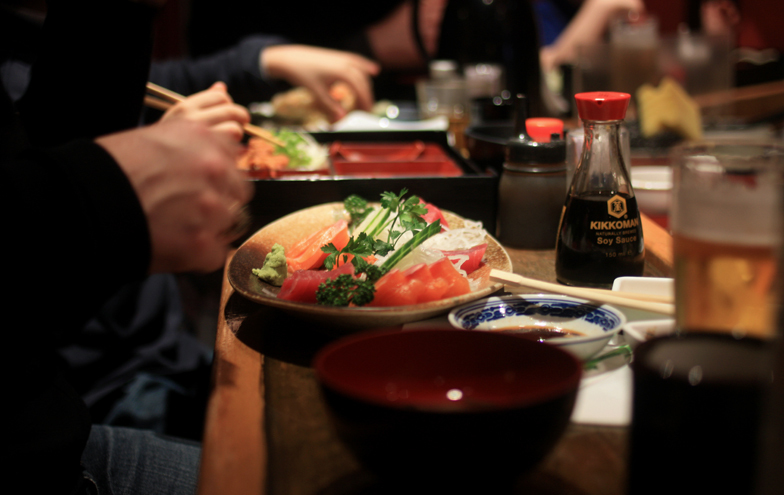 Then, depending on the size of your party, go and order gyozas, tempuras, grilled skewers, takoyaki (octopus balls), or grilled fish. The menu is long, and every dish description just sounds more amazing then the next. 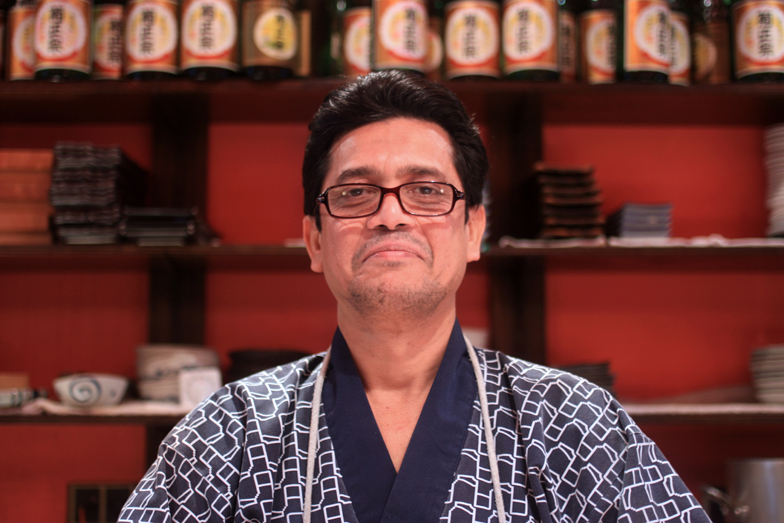 For a complete experience, sit at the bar, facing the chef who will be cutting fish with extreme accuracy, while shouting order in Japanese to the other side of the kitchen. 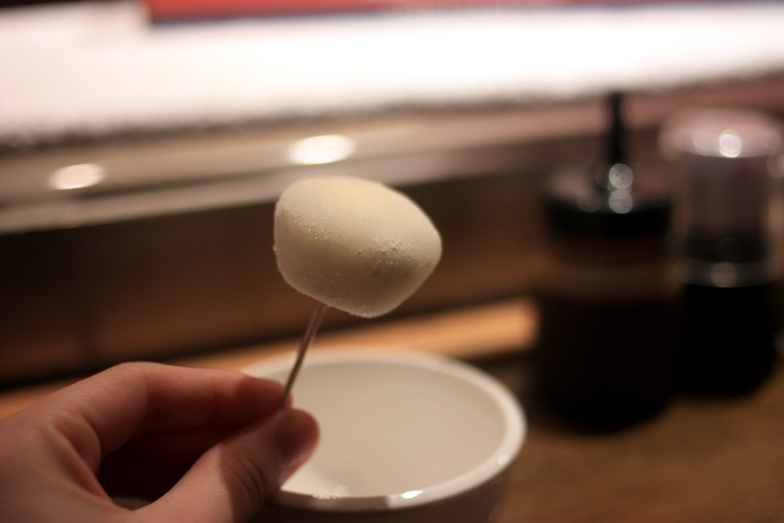 To finish the meal, don’t go without trying the mochis – or yukumi daifuku – small ice-cream scoops wrapped in rice paper then served on a tooth-pick. And as the place is greatly appreciated, it’s always a better idea to make a reservation.